These days, there are more wireless speakers on the market, using Bluetooth and AirPlay, than you can shake a cable at. Lex Friedman tests many of them; here are a few of his favorites. 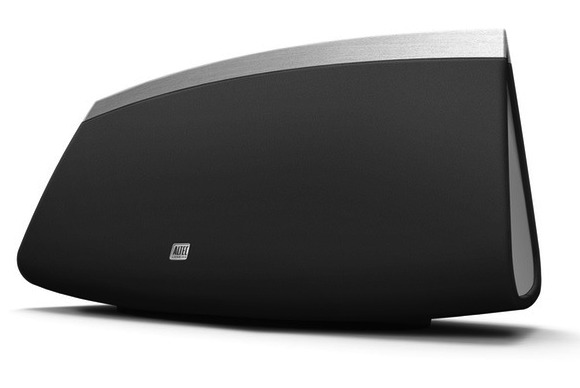 I called the Zipp the portable AirPlay speaker to beat, and for good reason. The Zipp offers easy setup, it works even without a Wi-Fi hotspot, it plays for eight hours on a single charge, and it looks and sounds great, too. 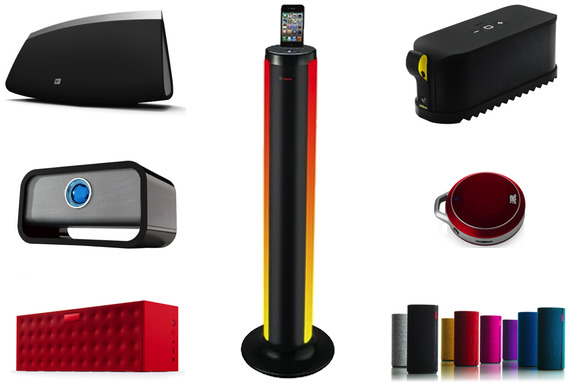 $400 gets you the basic speaker with an interchangeable cover; $450 gets you the speaker with three covers. 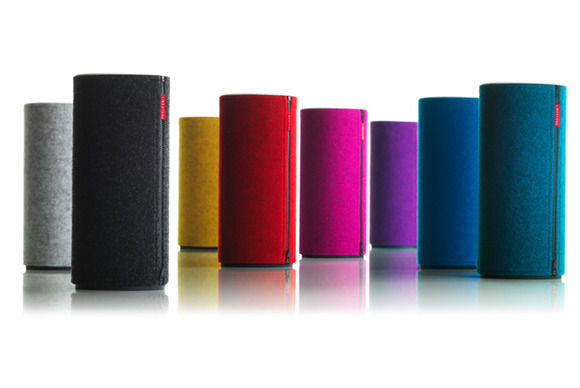 The original Jambox kicked off a race to make stylish, portable, nice-sounding Bluetooth speakers. 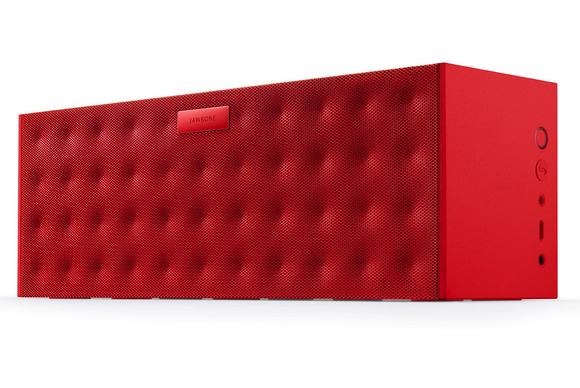 The $300 Big Jambox heated up that competition. It takes everything that made the Jambox good and does it, well, bigger: The Big Jambox's audio sounds better, the speaker plays louder, and the battery lasts longer. 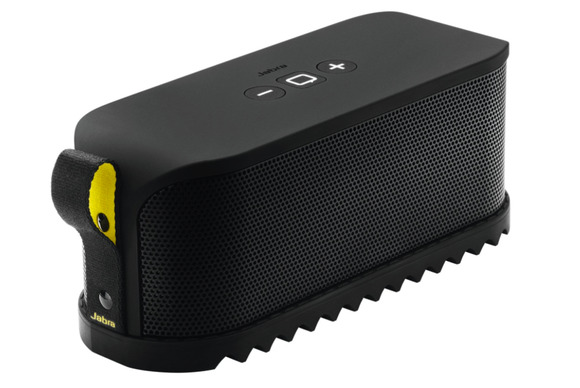 Jabra's $200 Solemate rivals the original Jawbone Jambox in volume, overall audio quality, and—more subjectively—perhaps even looks. The portable, Bluetooth-equipped Solemate is mighty durable, and its built-in battery offers eight hours of music playback. And if you want to use a non-wireless music source instead, there's an auxiliary-input cable carefully hidden in a groove on the underside—let's call it the sole—of the speaker. 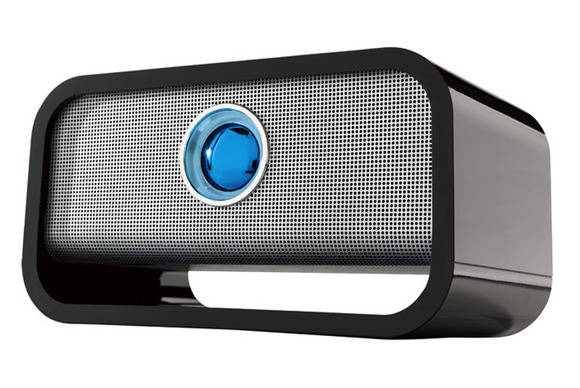 While the full name of iHome's $200 iP76 is a mouthful, the speaker itself is an eyeful. 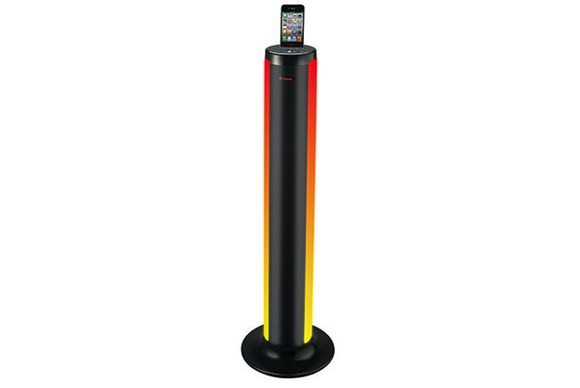 In addition to its 30-pin iPhone dock, the tower speaker can connect to a host of devices via Bluetooth. But what makes the speaker stand out isn't its audio, which is decent though not exceptional; it's the looks: The iP76 offers multiple lighting styles, and the light effects can even pulse in time with the music. The small footprint (roughly 9 by 5 inches) of Audyssey's $400 Audio Dock Air is deceiving. 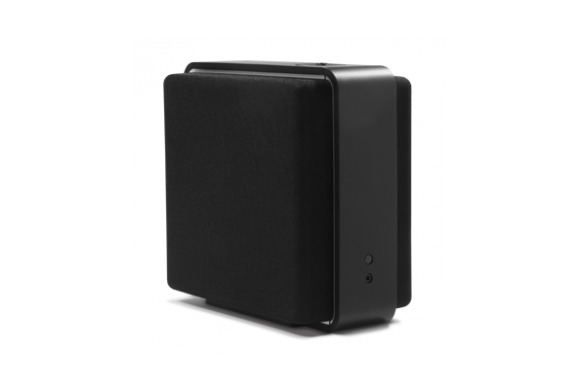 This is actually a powerful AirPlay speaker that can fill even a large room with clear, crisp audio. It also offers especially impressive bass presence for its size. The pocket-sized, $59 Micro Wireless is truly surprising. 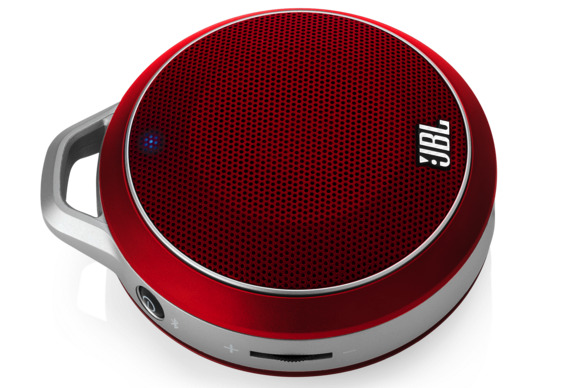 How good can the audio from such a small Bluetooth speaker really be? While it can't rival larger speakers note for note, the "bigness" of the Micro's sound is jaw-dropping. The speaker's battery offers five hours of listening, and an integrated cable, which stores in a groove in the bottom of the speaker, lets you connect to another source—or even to a second (or third!) Micro Wireless in a daisy chain. It's available in black, green, blue, and red, and a non-Bluetooth version (the Micro II) is available for just $39. Brookstone's $150 Big Blue Studio is a Bluetooth revelation: It's rare that a speaker sounds this impressive at this price. Plug in the Studio, tweak the bass and treble knobs to your liking, and enjoy clear, high-quality streaming audio. If even $150 is too much for your budget, or if you want something truly portable, the $100 Big Blue Live also impresses. TDK's $250 Wireless Weatherproof Speaker isn't just rugged—it’s also protected against the elements (IP64 certified, to be exact), so you can take advantage of its Bluetooth support and six-hour battery life just about anywhere. 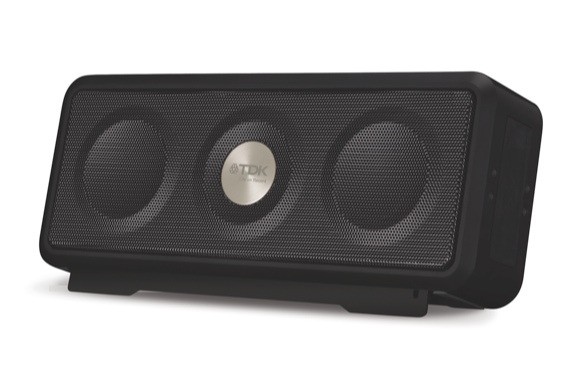 The speaker also gets impressively loud, making it ideal for the beach, park, or backyard. Though Altec Lansing has discontinued this $500 AirPlay speaker, you can still purchase it—at a substantial discount of around $250—from a number of online retailers, including Amazon.com. And it’s worth considering: The InAir 5000 offers excellent, room-filling audio without the hiccups that plague some AirPlay speaker systems.